The Google search brings you several results when you are searching for some services in your city. Businesses compete with each other to promote their services through Google Adwords and organic results. Google is constantly trying to enrich customer experiences by introducing new features. Recently, Google has announced SMS services to promote advertisements on Google Adwords. This post will help you understand this feature and how it works. Google plans to integrate click-to-message feature in Google Adword campaigns. With this new feature, customers can easily get in touch with their favored advertiser by sending an SMS. In June 2016, Google announced successful testing of the feature. By now most customers are aware of the call extensions available in the Adwords, however, the new SMS extension will allow them to contact advertisers directly. This new feature will definitely appeal people who resent telephone calls or long calls. This extension allows users to start a conversation whenever they want. How Does Click-to-Message Feature Works? 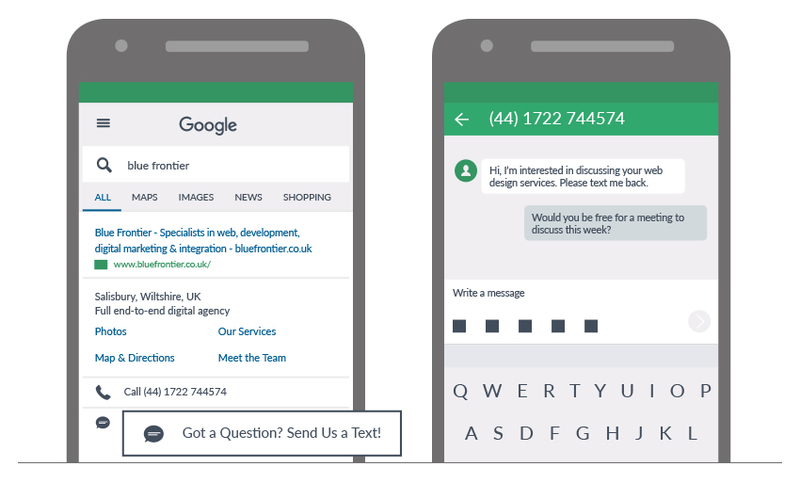 When a user clicks on a Click-to-Message ad in the Google Adwords, the SMS app will open, and the message is prefilled. The prefilled message is created by anticipating user’s requirements, however, a user can edit it before sending. This feature allows a business owner to provide personal attention to a customer. Also, they can work on a long list of prospective customers who might be interested in their brand. The SMS extensions are charged as per the regular click on the Adwords. Is Click to Message a User-friendly Feature? 1. There is an autoresponder, which lets a customer know by when they can expect a reply. 2. The SMS features can be set for a particular ad group and ad campaign levels depending on the advertiser’s requirement. 3. The feature can be scheduled to appear at specific times in a day or on certain days. For example, an Adword advertiser advertising his hotel can schedule the extension to appear during the lunch hours or other happy hours. Similarly, they can schedule it to appear during Thanksgiving, as well as Christmas, where people might be interested in ordering food for their family and friends. This new feature will let the customers view your ads on their mobile devices and allow them to send message in a click. This message extension will let marketers to receive, process and send messages. However, remains to be seen how marketers will use it to promote their features. They need to develop their own techniques of measuring or tracking the traffic that converts from this SMS feature. Learn more about “AdWords Message Extension”. Various industry studies suggest that this feature is currently being experimented by various start-ups, as well as big brands such as AnyVan, Travelpass group, Auto General, etc. If you are still not convinced by the concept, you should get in touch with a reliable PPC service provider in your area. Futurism Technologies is one such reliable PPC service provider, which provides these services as part of digital marketing and brand building. PPC experts will help you to take advantage of this faster, newer, and effective way of communicating with your customers whenever you want.